Mobius 3D Gaming Headset is a gaming headphone that feature 3D audio, Bluetooth, plus auxiliary and USB connectivity. Features include planar magnetic drivers, 3D and surround sound, head tracking, with wired and wireless connections. 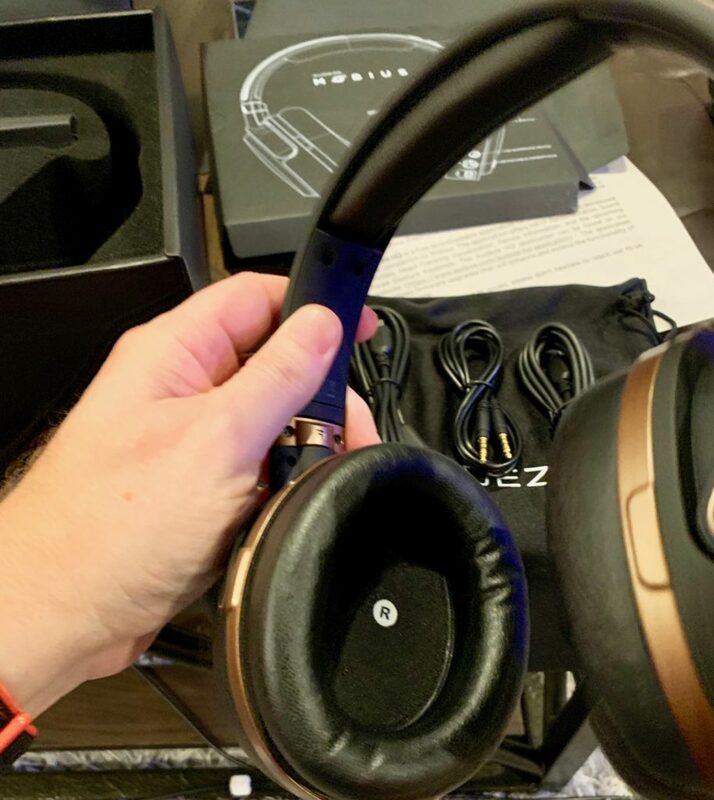 Packaging is done well and includes the headphones, detachable microphone, USB-C to USB-C cable, USB-C to USB-A cable, 3.5 mm cable, carrying bag and instructions. They are available in either blue or copper. The headphones can be charged by using either of the supplied USB-C to USB-C or USB-C to USB-A cable. If you want to use the headset (mic), simply attach it to the headphones. Once they are charged, you can optionally pair them via Bluetooth or use a USB or AUX connection. To power them up, hold down the power button for 3 seconds. To put them in Bluetooth pairing mode, double tap on the power button. All the controls are on the left ear and audio confirmation prompts let you know that the function is complete. The front has the power / Bluetooth pairing button and the microphone mute switch. On the side, you will find the input source button, 3D settings button, two function wheels and headset plug. The two scroll wheels control different functions such as volume, track selection and stereo type by either scrolling or pressing them in. It does take a little time to get used to the controls, but with the audio prompts it’s acceptable. 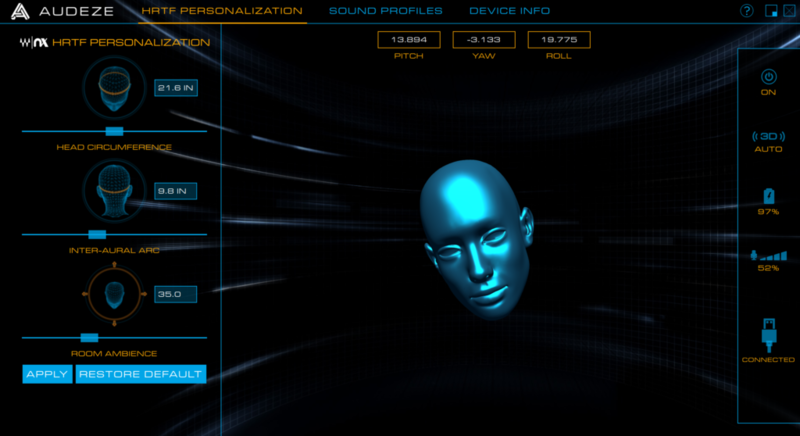 There is also an Audeze HQ app that gives a visual of the head tracking feature and the output presets. Installing the app on both Windows and Mac worked fine and is pretty interesting to look at. The app is optional, and there is no need to install it unless a firmware update is needed. The first thing you notice is the 3D effect. The Mobius headset knows what direction your head is pointing and focuses the sound to the direction you are leaning towards. It was like nothing I have heard before. I was confused at first but then delighted. The feature is catered to gaming and is designed to help you hear what is coming from all directions. There is a button to center yourself that you press while sitting straight up. The app also helps you keep the headset centered with the position of your head. You can disable the 3D effect if that’s not your thing. I next noticed how good the headphones sound. I listened to hours of music using a MacBook Pro and an iPhone XS Max as well as a lot of shows and movies using an Oculus Go VR headset. In addition to the 3D mode, there is 7.1, 5.1, 5.0, 2,1 and 2.0 Surround Dolby and Stereo. Watching movies using the 7.1 surround sound was an incredible experience. Sound is clear, loud and coming in every direction. Listening to music is fun too, especially using the 3D effect. The Mobius at its heart is meant for gaming. I am not a gamer, but fortunately my 15 year old son is. Using his Xbox One he gave his review. The headphones sound great. The quality of the speakers is impressive. However, they do feel a bit heavy and for someone who likes to stand up when they play, it can sometimes be a lot to carry, and my neck will start to slouch over. I really like the leather and the padding on the headphones.The headphones are also very flexible, which is very nice. NEED FULL SENTENCE HERE through the headphones. This means that you would be able to hear more clearly what you are saying. Although with these headphones, it seems very slightly delayed, which means that it has an echo effect that gets loud and annoying. Another issue I had was that the microphone was a bit delayed. What I mean by that is, usually with most headphones, (and these headphones) anything picked up from the microphone will be played back through the headphones. This means that you would be able to hear more clearly what you are saying. Although with these headphones, it seems very slightly delayed, which means that it has an echo effect, which gets loud and annoying. Another problem I had was with the Bluetooth connected to another device. Since my dad was using this before on his phone, and had it connected to Bluetooth, it was getting in the way. When I turned on the headphones, even if it was connected to the AUX cord, which was connected to the controller, the Bluetooth would turn on and connect to my dad’s phone. Every single time I wanted to use the headphones, I would have to tell my dad to forget the headphones from his phone. Other than the things listed above, the quality is great. The 3D setting, while it may not help the game, it definitely makes it sound better. It was cool to hear things coming out of my left ear when I turned to my right to get a sip of water. It works great. The Mobius headphone is an interesting device. The 3D effect and the planar magnetic drivers are its killer features. The sound quality and head tracking really give it an advantage over other headsets. This however, does come at a price. 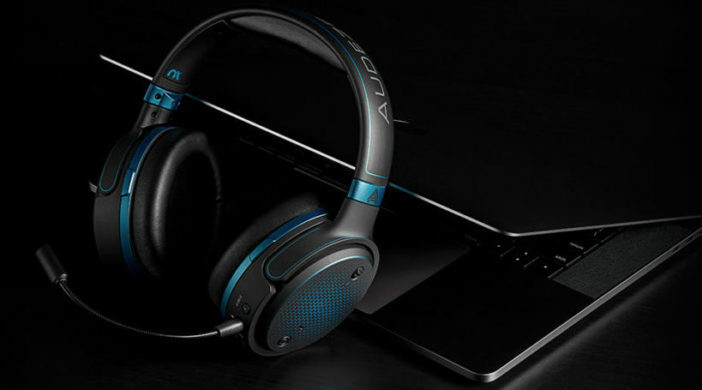 Headphone are a tough category to review based on the huge range of pricing. You can find a pair of headphones for a few bucks all the way up to thousands. In fact, Audeze makes a pair called the LCD-4 that costs $4000. Finding the right combination of quality, features and price can be confusing. 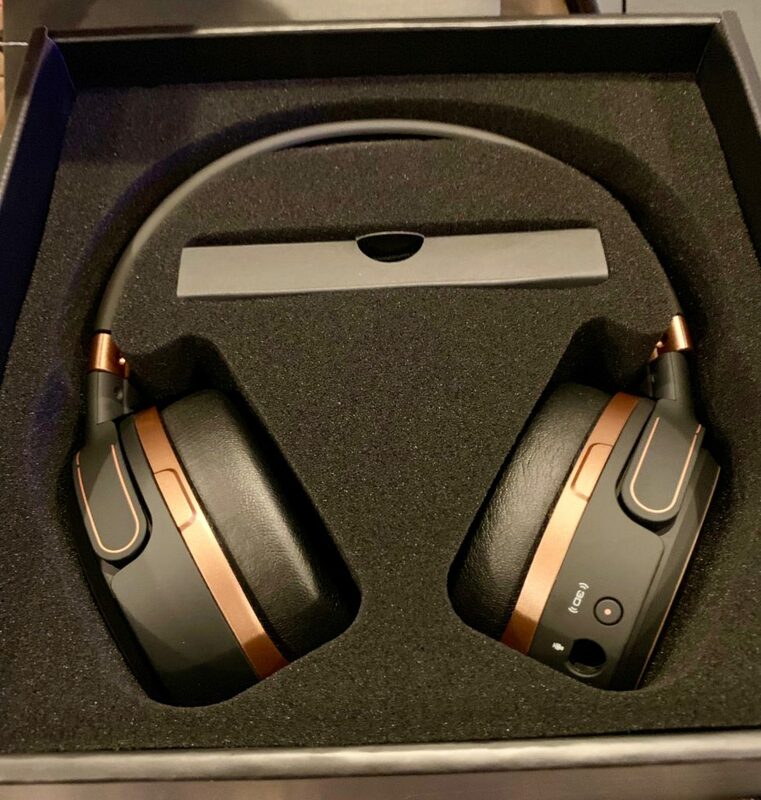 A quick internet search for 3D headphones led me to products ranging from around $250 to as high as $4000, so for $399, the Mobius seems to be in the low price range. If you are looking for a pair of headphones for music, movies and gaming, these are a solid choice. MyMac Review Rating is 9 out of 10. Great sound, features and a killer 3D function make these headphones a great companion to your movies, music and games as long as the price tag and my son’s few gripes don’t deter you.